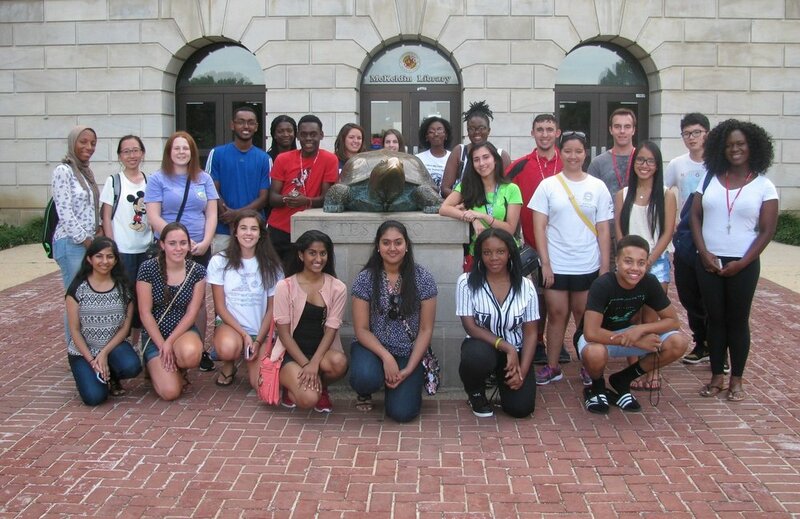 The BioFIRE (First-year Innovation and Research Experience) Living & Learning Community is designed to support your success at the University of Maryland by providing positive experiences that reinforce your interest in a major in the biological sciences, biochemistry, or chemistry. As a BioFIRE student, you will become part of a vibrant community of scholars and have the opportunity to engage in scientific discovery during your earliest semesters. The program is distinguished by a three-course sequence that immerses you and your peers in a collaborative research experience that contributes to a faculty member’s ongoing scientific research. In your fourth semester, you can continue in the BioFIRE research program as a peer mentor to first-year students or apply your research skills as an apprentice in a faculty research laboratory. These courses are companions to your required biology and chemistry coursework and fulfill General Education requirements. Seed funding for BioFIRE has been provided by a Howard Hughes Medical Institute Science Education Program Grant to the University of Maryland. Reside together in Easton Hall (required for first-year students; optional for second-year students). Enroll in one-credit seminars (one in the fall, one in the spring) that promote career exploration and strategies for a successful transition to college. Enroll together in a cluster of first-year foundational science courses, including introductory biology, general chemistry, and calculus. Participate in the First-year Innovation and Research Experience (FIRE), a three-semester sequence of courses that prepare them for and immerse them in a faculty-led research program. Are strongly encouraged to participate in community activities and events, such as study groups, tutoring, field trips, scientific lectures, and social activities. Are eligible for summer research fellowship awards for continuing their FIRE research. Easton Hall is a coed, traditional style hall, with men and women living in separate rooms on the same floor. Most rooms are doubles shared by two students, while a few students are assigned to larger triple and quadruple rooms. Priority for double rooms is determined by the order in which student submit their housing contracts. Single rooms are limited in number and are taken by second-year students with seniority. Student rooms are equipped with a regular twin bed, dresser, desk and chair, wired data jack, and cable connection for each resident. All student rooms and common areas also have wireless internet access and are air-conditioned. Roommates share a single University phone line with voicemail. Easton Hall is centrally located in the Denton Community of North Campus, the community of 11 residence halls where most first- and second-year residence hall students live. Located nearby are the Eppley Recreation Center, the Clarice Smith Performing Arts Center, Byrd Stadium, and two dining halls. Most academic buildings and libraries are less than a 15-minute walk away and the University Shuttle makes frequent stops in the community for overall safety and convenience.